Could a Premier League team average less than one successful pass per minute? Could a keeper's distribution prove better than Paul Pogba's? And are goals overrated? With the new Premier League season just days away, we take a look at some of the trends that might emerge, and attempt to bust a few myths along the way. Will Cardiff be the new Wimbledon? There's no right or wrong way to play football, just different ways. And rarely do you find approaches more different than Cardiff City (166 successful passes per game in the Championship in 2017-18) and, say, Manchester City (666 successful passes per game in the Premier League in 2017-18). A difference of five hundred feels like a lot and, guess what, it really is. If the 2017-18 Championship season had been decided on pass completion, Fulham and Wolves would still have gone up but Cardiff would have been rock bottom and heading to League One with a figure of 59%. The last Premier League team to post a lower rate was Watford in 2006-07 (57%) - and they finished 10 points adrift of safety. Wading further back into Opta's early modern databases, the Wimbledon side of 1999-2000, like Cardiff last season, completed 59% of their passes, and ended the season with relegation. That said, as the table below indicates, none of the least accurate passing teams in each Premier League season in the 2010s have actually gone down, although none of those sides (often managed by Tony Pulis) approached the truly industrial nature of Neil Warnock's Cardiff team. Meanwhile, Huddersfield showed last season you don't even need to score that many goals any more; the Terriers' total of 28 in 38 games equalled the lowest by a Premier League team who didn't go down, while their total of 21 games without scoring is the most by any non-relegated team. Goals, passes, everything: it's all overrated. Perceived wisdom dictates promoted teams struggle as they attempt to bridge the gap to the higher standard of the Premier League, but is that really true any more? Last season was the third time in the Premier League era that all three promoted teams avoided relegation. In 2001-02, Fulham, Bolton and Blackburn all eased into a long stay in the top flight, while 10 years later QPR, Norwich and Swansea repeated the feat. The doomsday scenario of all three newcomers going down has, in fact, only happened once, and not since the International Space Station was built. With Championship champions Wolves and play-off winners Fulham spending big this summer, a repeat of that 1997-98 occurrence seems unlikely. While we're talking about survival, let 2018-19 be the season that the 40-point margin of safety is forever debunked. Last season 34 points would have been enough to survive, the year before it was 35 and the year before that it was 38. So while it is true to say that 40 points all but guarantees safety - it is 15 years since a team last got relegated with 40 or more points (West Ham with 42 in 2002-03) - the tally needed for survival is usually significantly lower. In those 15 years, only two sides (Birmingham and Blackpool, both in 2010-11) have gone down with 39. The all-time unlucky side in a 38-game top-flight season remain Sheffield Wednesday in 1989-90. They managed to go down despite collecting 43 points, enough for Fulham to finish in 12th in 2012-13. Like the time cut in a stage of the Tour de France, each season's peril can only be judged on its own terms. Pep Guardiola may be at the vanguard of the movement to make goalkeepers pass the ball better - and particularly sideways at goal-kicks - but it's a trend that's been growing for some time in the Premier League. Fifteen years ago keepers completed less than 43% of their passes, but in 2017-18 that had risen to 54%, with Guardiola's muse Ederson completing 85.3% last season, a figure that put him level with Manchester United midfielder Paul Pogba. It's all a far cry from Middlesbrough's Brad Jones in 2005-06 - he found a team-mate with less than a quarter of his passes. Guardiola reportedly turned down the chance to play for a number of Premier League clubs in 2005-06, presumably philosophically sickened by the wayward passing culture that had infected goalkeeping up and down the country. Will Alisson be any good? In Brazilian Alisson, Liverpool boast the most expensive goalkeeper in football history to go behind Virgil van Dijk, the most expensive defender in football history. But is the man who started his career as back-up to his brother and who has only ever featured in one league season in Europe really worth £66.8m? This is the sort of question that scouts, coaches and managers face every transfer window - forced to make judgment calls on whether bursts of good form reflect ability and potential. Data can help, and Opta's expected goals model can be used to show how many goals keepers have prevented compared to the average player in the same scenarios. 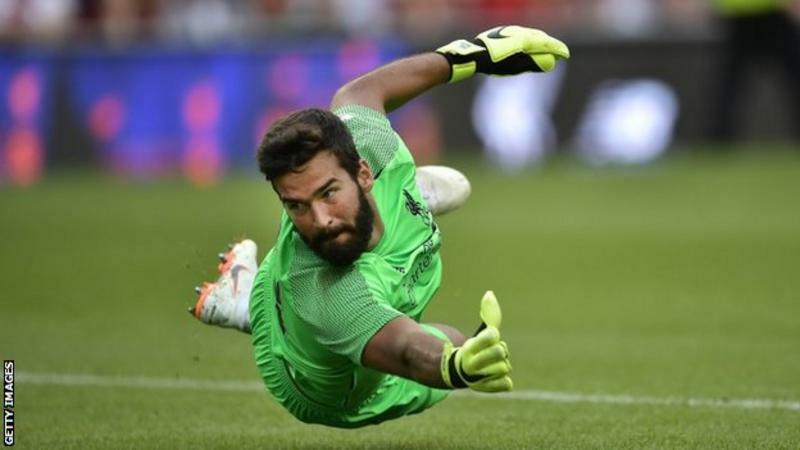 Pleasingly for Liverpool supporters, Alisson's numbers were the best in Serie A last season, the Brazilian conceding eight fewer goals than would have been expected based on the quality of chances he faced (he conceded 28, but those chances should have equated to 36.31 goals). In a Premier League context, the only goalkeepers to post higher numbers were Manchester United's David de Gea and Burnley's Nick Pope. Alisson is yet to show he can perform at this level season after season but the signs, brief as they are, look good. Premier League: Why has it become so hard to defend the title? 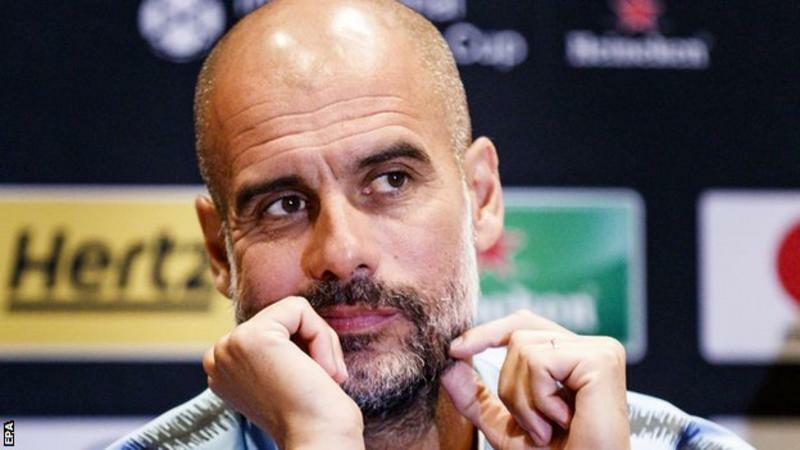 How can rivals stop Man City in 2018-19 season? Premier League pre-season fixtures: Where are your club playing? Where have all the red cards gone? The Premier League has fended off the techno-judgment of VAR for the time being but one of the most notable trends from the 2018 World Cup, the lack of red cards, has been apparent in England's top flight for the past few campaigns. In fact, last season was the first Premier League season to see fewer than 40 red cards since the first two campaigns in the early 1990s, a period when you had to essentially commit grievous bodily harm to be sanctioned by the part-time officials. That's certainly not the case in the late 2010s and yet modern referees are increasingly unlikely to reach for their ultimate punishment. Perhaps, deep as we are in the age of analysis, they are fearful of post-decision judgment, or perhaps recent rule tweaks such as the removal of double jeopardy in the penalty area have made a difference. Either way, the league that once boasted former Manchester United midfielder Roy Keane's keen sense of justice and ex-Arsenal manager Arsene Wenger's inconsistent view of incidents has undeniably changed. Will Kane ever score in August? Sometimes stats reflect the game and sometimes stats shape the game. In 2016, Opta released the equivalent of an obscure debut single by pointing out that Harry Kane had never scored a Premier League goal in August. Twelve months later it was a summer classic being sung across the Mediterranean, and in 2018 it's an unstoppable behemoth on a stadium tour. 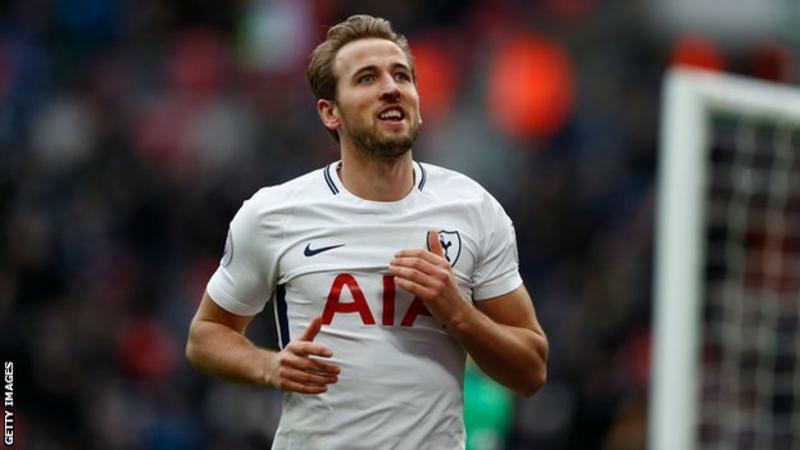 Winner of the Premier League Golden Boots in 2016 and 2017 and the World Cup version in 2018, Kane has repeatedly shown he can endure a barren August and still dominate, yet surely this curious record can't endure for another year. Forty four goal attempts have left Kane's boots or head in various Augusts with a total expected goals value of almost five. You or me or Jeremie Aliadiere might waste opportunities like that but this is Harry Kane for goodness sake. Simply, he has to score in August this year or everything we know and understand is worthless. Can anyone break the assists record? Could Kevin de Bruyne surpass a Premier League record held by Thierry Henry? For all their remarkable attacking feats last season, there was one record Manchester City's players failed to break: most assists by a player in a single season. The outright leader remains Thierry Henry who, in 2002-03, racked up 20 despite Arsenal's late implosion that handed the title to Manchester United. Mesut Ozil began 2015-16 like a man determined to obliterate Henry's watermark but tailed off in the closing months and ended on 19. In 2016-17, Kevin de Bruyne looked equally nailed on to surpass Henry but could only reach 18, while last season De Bruyne and Leroy Sane shared 31 assists between them but in a Henry-pleasing combination of 16 and 15 respectively. Henry's record is not so monumental that it's out of reach but 20 assists by an individual in a league in which the top six have averaged 70 goals in the past 10 years is still a stretch. Ozil and De Bruyne both remain likely candidates to topple Henry but equally his record of being the only player to both score and assist 20+ goals in a single season could last another 15 years.